Venice holds many rowing contests, but none are as colourful and full of good old Venetian pomp and pageantry as the historic race held the first Sunday in September. It starts with a historic procession in 16th-century replica boats, with a 'doge' and all his officials and their wives in glorious costumes recreating the most sumptuous period in the Republic's history. 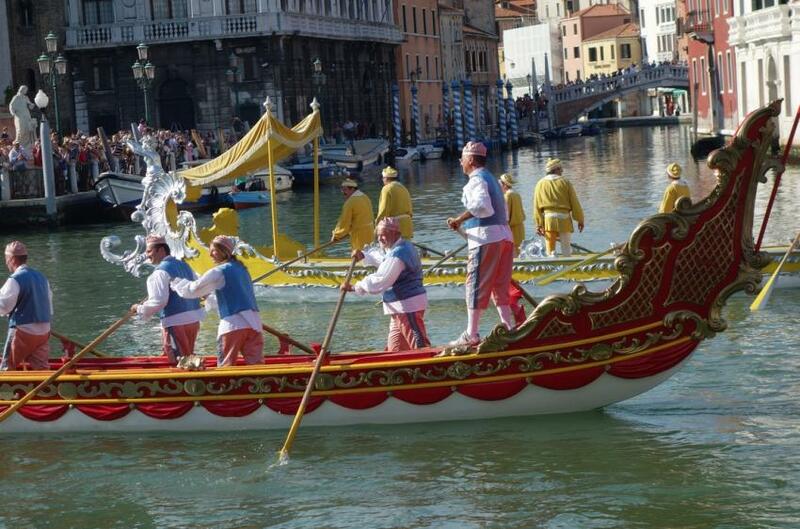 The pageant is followed by four races, including the speedy Campioni du Gondolini, featuring small racing gondolas. The finish line for the race is a floating wooden structure known as La Machina, placed near Ca' Foscari on the widest bend of the Grand Canal. This is where the Venetian authorities watch at the race, and hand out the prizes at the end.